Who would be foolhardy enough to take a canoe out on a lake on a cold day like today? Not me. No siree! It’s December 15th for goodness sakes. As of 9:25 a.m. the temperature in Vancouver was -3° Celsius! 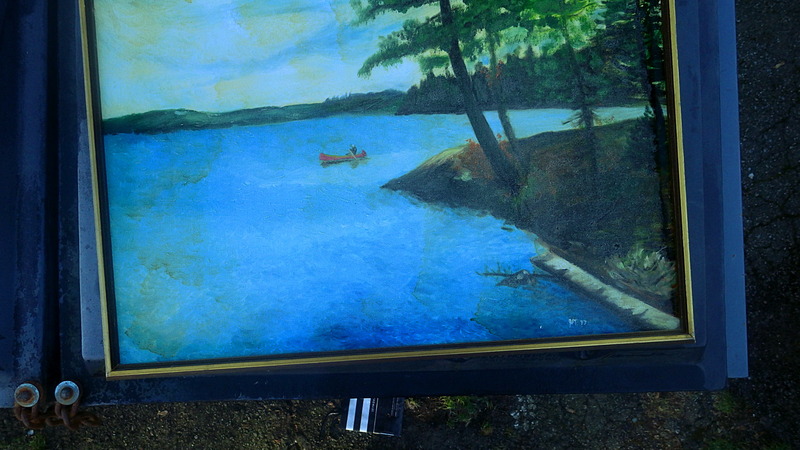 Only someone who had no choice would be out on a lake in a canoe today—someone who was figuratively, if not literally, painted into a corner—someone like the subject of the large painting that I found laid out on the lid of a Fairview dumpster this morning. 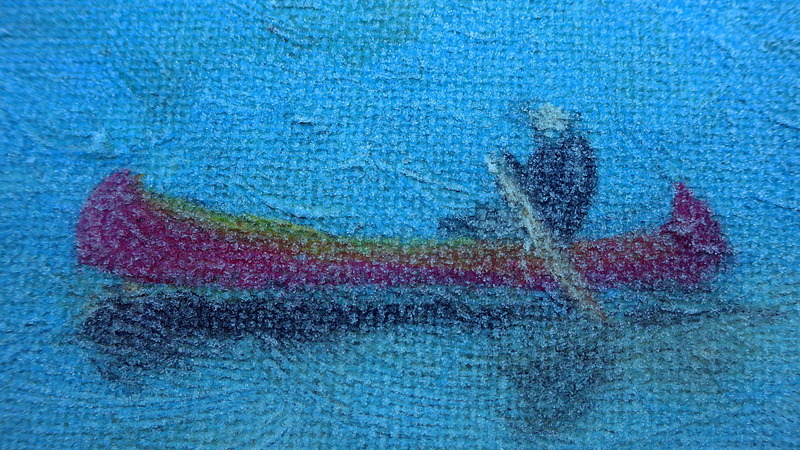 The painting was of a green summer scene, looking out on a typical northern Canadian fresh water lake. The surface of the water was dotted by a single red wooden canoe holding a lone figure, forever frozen in mid-paddle. In contrast to the warm scene that it depicted, the surface of the physical painting was coated with a translucent white glaze of ice-cold hoar frost. This thick frost actually lent a sort of accidental realism to the painting I thought, considering that a real northern lake would likewise be covered over with ice by this time of year. 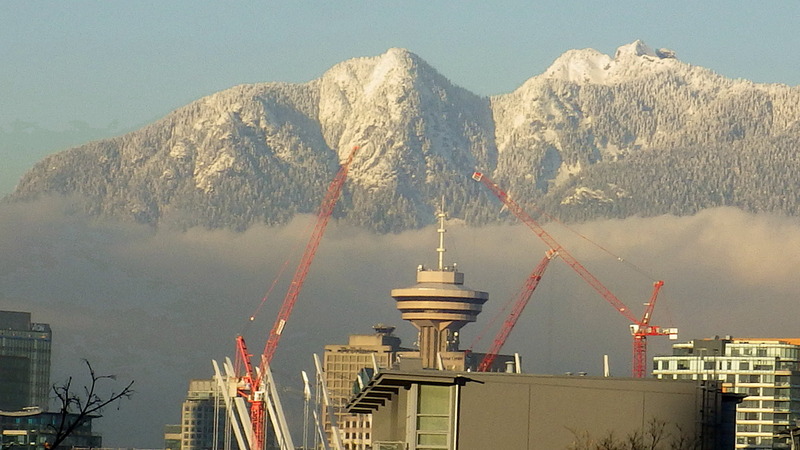 Snow on the North Shore Mountains with the obligatory Vancouver construction cranes. So, how cold and icy is it here in Vancouver today? Well, I’ve heard that the City of Vancouver has actually appealed to all coffee house patrons to donate the salt from their salted caramel lattes…to help de-ice the roads! Can you believe that? So cold! Click the images to enlarge them.